Committing to a CSA Membership is a whole lot easier when you have the expert recipe developer Chef Pat Mulvey cooking with you through the summer. People love the excitement of that first CSA box, but by the 7th one, you might start to run out of steam. You may find yourself saying “what is that strange vegetable” or “kale, again!” That is exactly why Patricia Mulvey created Local Thyme….to make using your veggies easier, tastier, less time consuming and WASTE-FREE! Her love of food and culinary expertise will make all your kohlrabi, radishes, and tomatoes disappear, and not into the compost. Partnering with CSA farmers, Local Thyme develops meal plans that support their productions and equip their customers to make the most of their ever-changing seasonal harvest. Local Thyme also offers memberships for people who shop other seasonal sources, including farmer’s markets, food co-ops and local food retailers, or who garden. 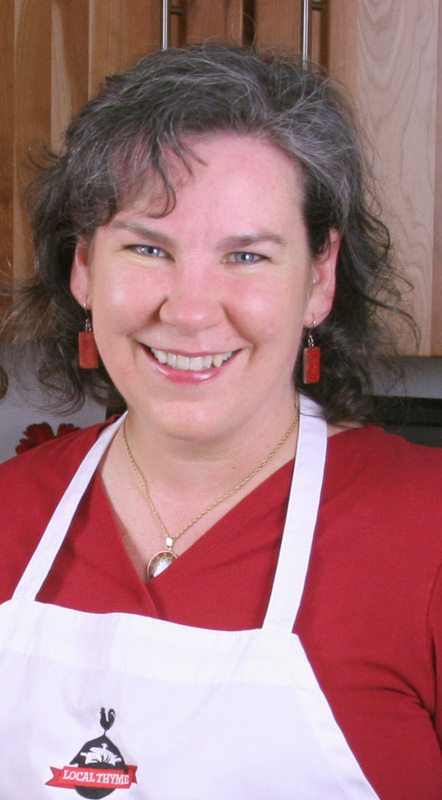 Pat is a recipe developer, personal chef and cooking instructor with decades of experience planning menus and cooking from CSA boxes and farmers markets. As the Fair Share CSA Coalition Chef, Pat contributes to the growth of sustainable food systems through her culinary publishing work. 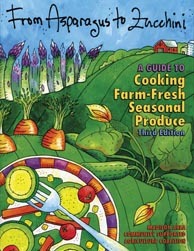 She is a contributing editor of the Fair Share fund-raising book From Asparagus to Zucchini: A Guide to Cooking Farm Fresh Seasonal Produce. She recently collaborated on the newest cookbook to raise funds for Fair Share, Farm-Fresh and Fast. She also donates Local Thyme membership to members of the Partnershares Program, a cost-sharing program that provides financial assistance to limited-income households for purchasing CSA vegetable shares. A long-time local foods activist, Pat is the co-Founder of MUNCH (Madisonians United for Nutrition for Children’s Health), and has been part of a Farm-to-School team that helped the Madison School District shape a vision for creating a healthier and more sustainable school food program. Changing the world starts at home, and Local Thyme makes it easy and delicious to shop, cook, and eat sustainably. Expanding people’s veggie vocabularies and helping them to cook with local and seasonal ingredients — these are the things that Chef Pat and Local Thyme do best. Local Thyme will help you cook your way through your CSA!